Are Dental Problems Affecting My Child’s Speech? What Can I Do About White Spots on My Child’s Teeth–Or My Own? Can a Pediatric Dentist Help My Baby with Breastfeeding? We are committed to giving back to our community. Join us in supporting some of our favorite causes! 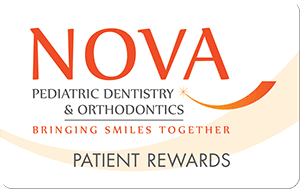 © Copyright 2015 Nova Pediatric Dentistry & Orthodontics. All Rights Reserved.